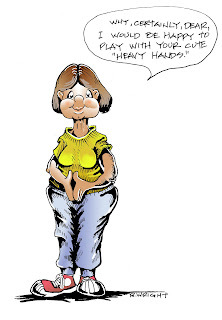 My friend, Judy, asked for a couple of drawings that showed a person who is somewhat overweight, but not really fat to represent her marketing for a product called "Heavy Hands." That presented a challenge for me, because that meant that I had to accurately depict a character to fit a description!!! I have never been good at boundaries. 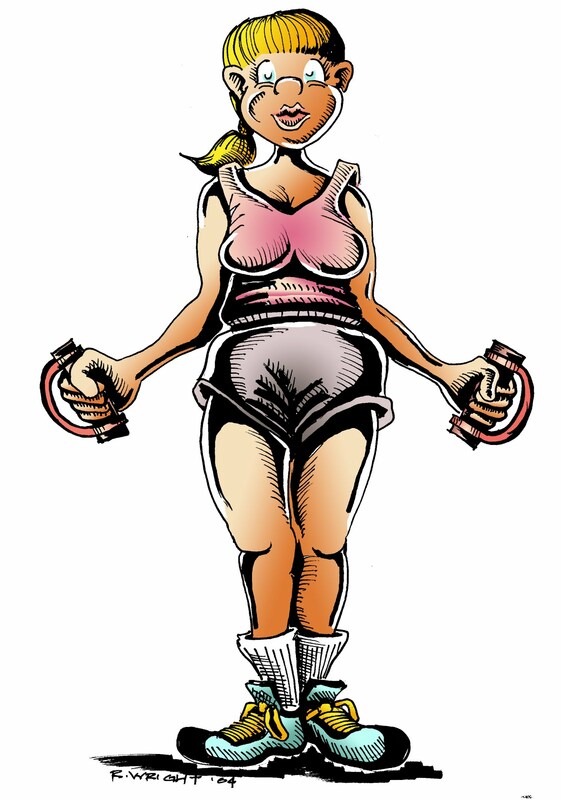 So, I worked it out with my middle aged character, Flora (see Bob and Flora post 11/30/2009). I think I captured her essence quite nicely. Her character is getting further developed. She is still cute, but certainly middle aged, overweight, and no sense of style. But you gotta like her. She just oozes, "Nice". 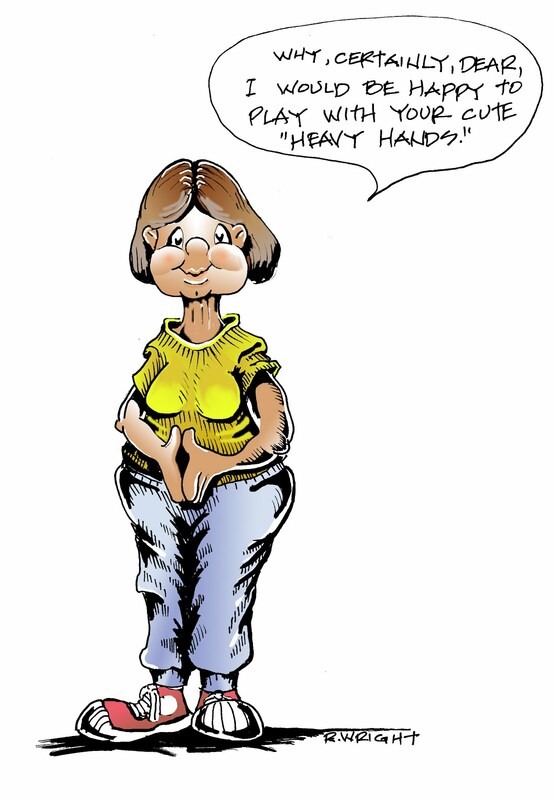 Then I added my new character, a young lady, again overweight, but not seriously. 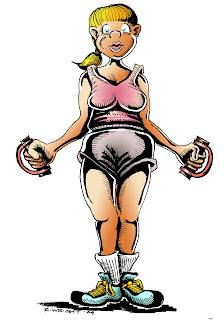 She is a pseudo-jock, and wants to work out. She is even using "heavy hands". I drew these as pen and ink, then scanned them to color them in Photoshop. Again, I think it worked out quite nicely.